So You Want to Sing the Blues shines a light on the history and vibrant modern life of blues song. Eli Yamin explores those essential elements that make the blues sound authentic and guides readers of all backgrounds and levels through mastering this art form. He provides glimpses into the musical lives of the women and men who created the blues along with a listening tour of seminal recordings that stand tall in the genre’s vocal history. Throughout, they supply entry points for learning how to sing the blues by tapping core principles of rhythm and teaching singers how to source their own story. The blues presents many unique challenges for singers, who must shout, slide, and serenade around the accompanying music. 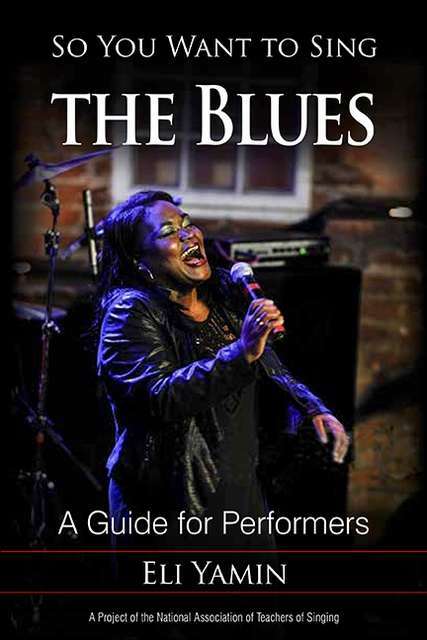 By offering concrete explanations and exercises of key elements of the blues, So You Want to Sing the Blues guides singers to create authentic self-expressions informed by the style’s rich history and supported by strong technique to increase stamina and flexibility. Teachers, students, and singers of all levels will find this book a welcome guide to understanding and participating in this culturally diverse and uplifting style. The So You Want to Sing series is produced in partnership with the National Association of Teachers of Singing. Like all books in the series, So You Want to Sing the Blues features online supplemental material on the NATS website.